Howard Jackson had a phenomenal winning streak in major competitions-Tournament Karate, Kickboxing, full contact Karate, and Boxing. His competitors and peers voted him the best. Jackson was born in Detroit, Michigan to working class parents who many times had to rely on government assistance for housing and food. Life for the Jackson family was unstable and his mother and father died at an early age. The oldest of four children, he saw his two brothers die violent and tragic deaths. He and his sister (Corliss) survived the troubled streets of Detroit. Jackson started studying kung fu in 1967 after the Detroit riots and searched for a martial art that would work best for him. A turning point came when Jackson witnessed a demonstration by an individual who had been studying Tang Soo Do karate for two years and thanks to this young man, Howard Jackson was led to Harold Williams who became his mentor and karate instructor up to Howard's testing for first degree black belt in Tang Soo Do karate. In 1970, Jackson along with two other soon-to-be champions, Johnny Lee and Everett "Monsterman" Eddy, and the champion of that time frame who was testing for fourth degree black belt, Chuck Norris, were all tested for black belt by Grand Master Hwang Kee and His Moo Kwon testing board. Shortly thereafter, Jackson searched for the ultimate self-defense martial art. He joined the Marines Corps and discovered tournament competition. While at Camp Pendleton, he read a karate magazine about his stable mates, Johnny Lee and Everett "Monsterman" Eddy, who were winning karate championships all over the country. Jackson had to find a way to be a part of karate competition. He got his chance and entered the Four Seasons Karate Championships. Although he was disqualified for excessive contact, Chuck Norris and Bob Wall noticed him. Although complimented for his exceptional kicking ability, he was told of his lack of control. Chuck and Bob also encouraged him to develop his usage of hand techniques. At that time, they invited young Howard to the Chuck Norris Karate Studios in Torrance, California. The next week Howard caught the Greyhound bus from Camp Pendleton in California to Long Beach, California and spent his weekend leave training with Chuck Norris and his many talented black belts (such as Bob Wall, John Natividad, Darnell Garcia, Bob Burbige, Ralph Alegria, Aaron Norris , and Pat Johnson, just to name a few). 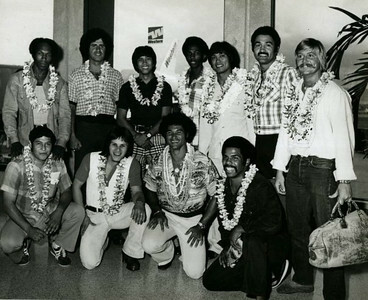 Jackson became an integral part of the Chuck Norris fighting team who were winning both team and individual championships across the country. In 1972-73, Jackson was ranked among the top 10 national fighters in the United States. He was called "California Flash" because of his most outstanding attribute, his initial speed and a unique ability to rapidly close the gap on his opponents. He was ranked number 8 in 1973. Howard was contacted by heavyweight champion Joe Lewis and invited to his sparring session, and Joe and Howard became sparring partners. Joe also saw Howard's potential to be a recognized champion. Joe became a part of Howard's success and he helped Howard to become both mentally and physically prepared for competitive fighting. Joe Lewis combined his personal theories in fighting along with Bruce Lee's and taught these theories to Howard. While Chuck Norris, Mike Stone and others gave Howard the tools of competitive fighting, Joe sharpened them. In 1973, Howard won the grand championship and first prize $1000 in semi contact competition at the Top 10 Nationals in St. Louis. Jackson became the only two-time grand Champion of the Battle of Atlanta (1973 and 1974). In 1973, he was inducted into the Black Belt Hall of Fame as "Fighter of the Year." Jackson became the first lightweight to dominate his sport and professional karate's biggest money winner of 1973. Jackson had usurped Bill Wallace, at the time America's top tournament fighter. In 1974, he won the lightweight title in the split-division United States Championships in Dallas. 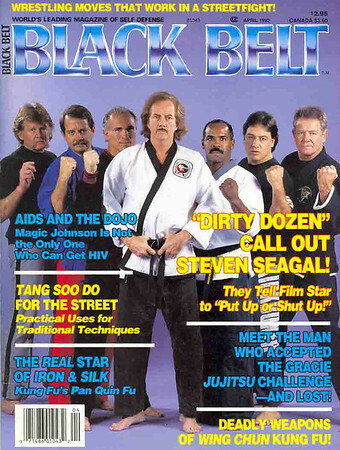 Jackson was the Black Belt and Professional Karate Magazines #1 U.S. karate fighter of 1974 (Karate Player of the Year). After a knee injury in 1974, Jackson's whole world seem to crumble. After two years of therapy for the knee, and perseverance and determination, Jackson launched a comeback in 1976, competing in professional boxing, karate, and kickboxing. On January 26, 1980, he captured the WKA full-contact welterweight title. Jackson won a unanimous decision over Japan's Yoshimitsu Tamashiro. In January 1981, he won against Miyaso Chiba in Tokyo to become the world junior welterweight champion of the World Kickboxing Association. 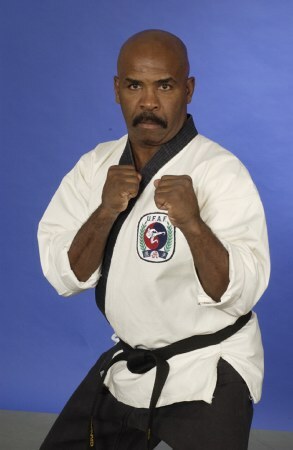 Howard Jackson was the first competitor to win the Karate Player of the Year award with only two years of experience and was one of the first internationally recognized world champions. He was the first karate champion to be ranked in professional boxing-number 6 in the world by the World Boxing Association (WBA). At age 23, Jackson attained his goal of becoming the first black man to reach the pinnacle position of tournament karate. Howard Jackson was the only champion in history to hold world titles in semi contact, full contact, kickboxing and boxing. After retirement in 1983, Jackson worked for 10 years as Personal Protection Officer/Training Partner to actor and World Karate Champion, Chuck Norris. His total dedication to the sport and the art earned him the admiration and respect of his contemporaries; he was known as a professional's professional. In keeping with his goals of accomplishment and self-improvement, Jackson left his position with Mr. Norris and worked for 5 years as Bodyguard to the Temptations. Howard then returned to his position with Chuck Norris. Jackson credits martial arts as giving him focus and a method by which he could achieve realistic goals. He learned that "step by step, one small goal at a time, he could accomplish what he wanted." Howard, at this time, would like to reach out to the world and share his knowledge and wisdon with children and adults. He is available for seminars and training and can be reached through this site.